Whilst VIP Design offer full vehicle conversions and performance packages to the finest cars on the road, we also offer stand-alone VIP Tuning and software upgrades. If you are looking for engine performance and upgraded tuned software, none offer a finer service. You could google any tuner, you could have software uploaded of some description that may make a difference, perhaps it’s worth a risk? 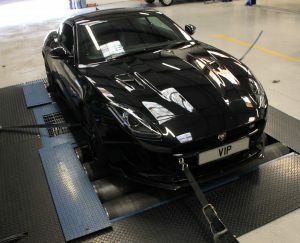 Or you could chose a VIP live dyno tuning session, carried out by the finest performance car tuning software developers in Europe. VIP Design has developed a reputation worldwide for delivering safe, useable max power and performance. When the media and journalists drive our cars, they always say one thing – OMG! how did you do that znoinr8. VIP Design offer VIP dyno tuning sessions for all sports, exotic and prestige cars – including Maserati, Porsche, Aston Martin Tuning, Mercedes BMW, Audi R8, Lamborghini, Land Rover and Jaguar Tuning. Or you can call some guy who someone said does tuning – your call!